We’re specialists in high-quality Domestic, Commercial and Industrial electrical installations and testing in the Nottinghamshire area. And we’re available 24/7! Lukes and Godwin Ltd Electrical Contractors and Engineers have been providing electrical work to extremely high standards since 1968. That’s over 50 years’ experience of working closely with both homeowners and businesses throughout the East Midlands, so you can be sure we know what we’re doing. We specialise in high-quality electrical design and installation for the domestic, commercial, industrial and retail fields, and we pride ourselves on our excellent workmanship and outstanding customer feedback. You’re getting seasoned professionals from a well-established and respectable company who won’t let you down. To find out more about our electrical services, simply get in touch today. 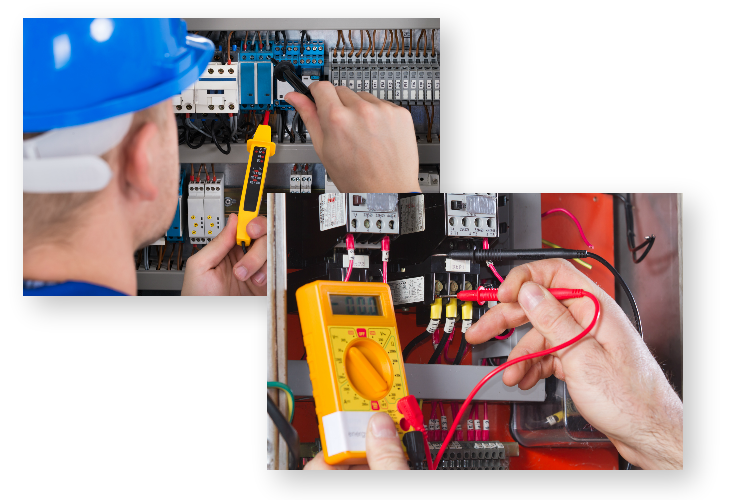 By choosing us, we can guarantee you’ll receive the highest level of workmanship, that’s available 24/7 and carried out by a friendly and professional team of fully-qualified electricians. As some of our work is highly-sensitive, all our staff have undergone an enhanced DBS check for your peace of mind. We have also been assessed and certified by the professional governing body NICEIC (National Inspection Council for Electrical Installation Contracting) and pride ourselves on being one of first to gain UKAS (United Kingdom Accreditation Service) accreditation. Whatever you need around the home, we’re happy to help. Get in touch for anything from a new appliance installation to a full house rewire, and anything in between! "We would like to take this opportunity to thank Tom for his prompt response to our request for an electrician and to Haydn for completing the job to our satisfaction. It was most appreciated." "Thank you to Dean, Dave and Andy for all the hard work and effort put in to this project. What a way to retire, if I could have had this team in the future, I would have carried on until I was 90." "Just a quick email to thank Dean and Tony for carrying out a first class install"
"The guys you sent were fantastic. They looked into everything and although they were only "humble electricians" (their words not mine!) pointed me in what they thought was the right direction. EXACTLY what I was hoping for"
"It's been a pleasure to work with a contractor that has a high level of professionalism and work standards. Hopefully we can work together in the future"